For no apparent reason at switch this morning on all my personal settings are gone. Desktop seems to have reverted to original Guest settings all mine missing. Even when logged in as an Administrator - pc says administrator rights required. I have tried several times to do a restore point without success. Concensus is possible Trojan ???? H E L P !!!!!!!!!! Edited by kelvinb, 25 February 2014 - 05:51 AM. My name is Machiavelli and I'll try to fix your PC problems. If you are in SafeMode then print my instructions! Removing Malware on a computer can be very complicated. Malware (malicious software) is able to hide and so I may not be able to find it so easily. In order to remove Malware from you Computer, you need to follow my instructions carefully. Don't be worried if you don't know what to do, just ask me! Please stay in contact with me until the problem is fixed. !NOTE! Please respect my volunteered time and stay with me until I declare your computer clean. If you are going to be delayed for a while, please let me know. Download FRST and save it to the root of the USB Flash Drive. Reboot the "bad computer" using the boot CD you just created. After fully load your system should now display a REATOGO-X-PE desktop. Please copy and paste the log contents to your post. The Logs look pretty good. Weird. 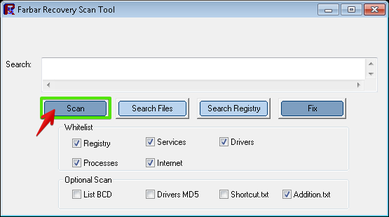 The tool will generate a log on the flashdrive (Fixlog.txt) please post it in your reply. Then try to run instead of OTL FRST in normal Mode . Follow the instructions below. Please move FRST.exe from your USB Stick to your Desktop. WebCake Desktop Updater => Service deleted successfully. cerc6 => Service deleted successfully. Try the step(s) below in normal mode. If it isn't working please try it to do in Safe Mode. Note: You must save this directly to your Desktop. Save any open documents, then close any open programs. When Combofix finishes, it will open the log. Please Copy (Ctrl + C) and Paste (Ctrl + V) all of this text into your next post. Copy this file to your USB drive if you do not have internet connection on this system. Right click the file and select send to : select the USB drive. 1. unable to copy both OTPLstd and OTPLnet to same disk as second download asks to delete the first. OTL txt from this scan attached below. Q ? - should I repeat the above using the OTPLnet boot disk and paste results ? Please start again in normal mode. Click Quick Scan to start OTL. When OTL finishes scanning, a logs, OTL.txt will open. Copy (Ctrl+C) and Paste (Ctrl+V) the contents of this log into your next post please. How is the PC running? Please forget this point. Sorry for the confusion. rescanned via OTLP boot disk. Please go into the BIOS (by tapping F2 at the beginning of booting the PC up) and tell me whether your hard drive is set to sata or ide. When you see Command Prompt on the list, Run it. Tell me how the computer is now behaving. Do you have a Windows XP Disc. Me maybe have to do a complete reinstall of the system. If I attempt to ' reinstall' Windows from this disk I am fearful I will loose everything saved on this machine.